Don't weep for Hulu's long-neglected, ad-supported website. The free stuff lives on elsewhere anyway. Earlier this week, Hulu unceremoniously killed off the free web version of its streaming video service. Hulu didn’t send a press release, write a blog post, or make a peep on Twitter about the change. 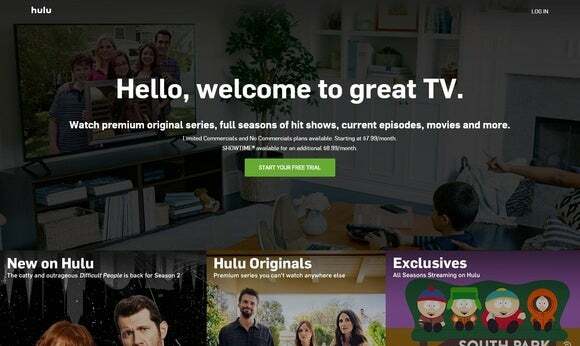 Instead, the news emerged in a story by The Hollywood Reporter, which noted that Hulu will send out messages to affected users in the coming days, along with free trials to the paid version. Variety reports that Hulu will phase out its free service over the next few weeks. While this is technically the end for Hulu’s free website, the impact and implications have been overblown by tech writers and TV industry observers. The truth is that Hulu lost its zeal for free streaming years ago. Shutting down the free section of Hulu.com is more symbolic than consequential, especially because free TV episodes from the major networks will remain available elsewhere for the foreseeable future. When Hulu launched its Hulu Plus subscription service in 2010, the free version quickly became an afterthought. If you wanted Hulu on iPhones, iPads, game consoles and smart TVs, you needed to pay $8 per month for Hulu Plus. There was no free version for this new wave of connected devices, because the entire Hulu Plus strategy hinged on device access as a feature. Hulu even attacked workarounds that let people stream where they weren’t supposed to. The company blocked access to the free website through TV-optimized PC software such as Boxee and Kylo, and through Google TV devices. When Android phones gained the ability to run Adobe Flash, Hulu blocked those devices, too. 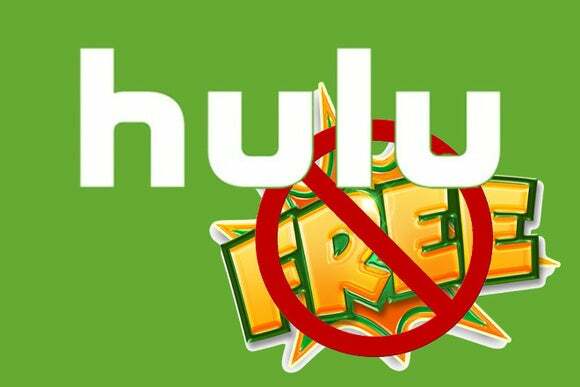 Although Hulu did flirt with the idea of free content on mobile devices a couple of years ago, the experiment didn’t last long. Free episodes on Android disappeared sometime in the last year, while promises of a free iPhone version never materialized at all. Meanwhile, Hulu has pushed its free web version into obscurity. For at least the last six months, visiting Hulu.com brought you to a splash page that advertises Hulu’s subscription services, with no obvious link to the site’s full TV episodes. The only way to reach the free content now is to sign in, click on your name, and then click “TV” on the top navigation bar. Even then, finding full episodes takes some digging. Hulu’s website acts as if the free version doesn’t exist. Over at Slate, Will Oremus argues that Hulu slowly conditioned us not to want the free version, first with an eight-day delay on new episodes for non-subscribers, then by introducing lots of repetitive ads (a problem, by the way, the paid version also suffers from). But the truth is that we conditioned ourselves for paid Hulu by using our PCs less often and demanding, justifiably, that our post-PC devices have access to the latest videos. Hulu merely set device boundaries six years ago and stuck with them. Why is Hulu doing this? With the end of free Hulu, some observers have argued that the company’s media conglomerate owners (Comcast, Disney, Fox, and now Time Warner) are sending a message: If you want Hollywood content, you’ll have to pay for it. Reality is that the free content model doesn't work, at least not for Hulu. The company has been spending a lot of money on content in the last year as it tries to keep up with Netflix and Amazon, both of which charge for their services. It bought the rights to the full Seinfeld catalog, signed an expansive deal for Disney Channel shows, secured streaming rights to new FX and AMC series, and invested in an ambitious slate of original programming. Even with this new emphasis on paid subscriptions, Hulu’s bets might not be paying off. 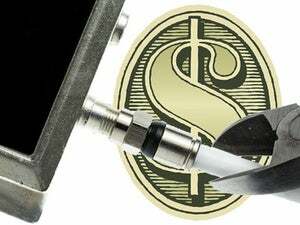 There are signs that the company’s subscriber growth is slowing, and in a recent New York Times report, analyst Richard Greenfield estimated the company was losing close to $500 million per year. A model that focused on free, ad-supported content would likely put Hulu even deeper in the hole. While Hulu.com will no longer host free content, those episodes aren’t going away. Individual networks, such as NBC, ABC, and Fox, will continue to stream full episodes on their own desktop websites, and without Hulu’s navigational hurdles. NBC and ABC even offer free shows on mobile and connected TV devices. In other words, these networks still believe in giving TV episodes away, but only if you engage directly with their brands on their own terms. Then again, you also have Yahoo View, which will act as a portal for the latest five episodes (with an eight-day delay) of network TV shows. Yahoo might even provide a better experience than Hulu did, with show pages that include extras, previews, recaps, and links to related Tumblr blogs. The bigger concern, over the long term, is whether Hulu is interested in streaming recent TV episodes at all. Before Time Warner agreed to buy 10 percent of Hulu last week, the company was reportedly angling for Hulu to phase out next-day episodes as a condition of a larger investment. At the same time, Hulu is developing a live TV bundle, due next year, to compete with services such as Sling TV and PlayStation Vue. This bundle will reportedly cost $30 to $40 per month, and it’s not hard to imagine Hulu’s backers withholding next-day shows from the $8-per-month service to bolster the pricier bundle. After all, Hulu has already pivoted away from free TV once, with the arrival of Hulu Plus. Once its live TV bundle arrives, Hulu’s on-demand service might face a similar fate.